A fun board game about asset management may sound pretty much like a contradiction. Synergy however, is a board game where teams spend Sellafield-minted money, worth £millions, on a range of facilities and infrastructure for the Sellafield nuclear site in Cumbria. Synergy was nominated for an award at the recent World Nuclear Exhibition in Paris, where, along with Russia’s Rosatom, it was second placed after EDF in the Knowledge Management category. 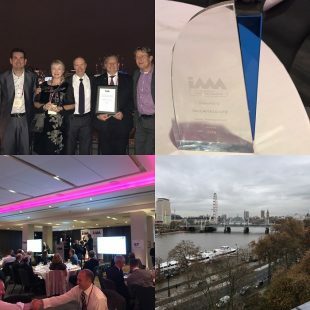 The game then went on to win an international innovation award from the Institute of Asset Management. Unlike some traditional board games, the goal of Synergy is not to amass a fortune but to invest with care, weighing up risks against possible performance improvements. Teamwork is an integral part of the game. Players quickly realise that they need increasing levels of collaboration to play successfully. In other words, they must take a pragmatic approach based on sound Asset Management (AM) principles and value optimisation. Asset management can be rather a dry, abstract subject for many people, often difficult to understand. But it is critical that the estate’s assets – buildings, infrastructure, IT systems, equipment, vehicles and much more – are maintained cost-effectively and to a level that is appropriate for their present and future function. Is it, for example, sensible to spend large amounts of money on buildings that are ultimately scheduled for demolition? The answer is that it depends on a wide range of factors linked to its current condition, hazards, performance, risks, opportunistic reuse and more. Asset managers need to understand all the issues but critically, so do many other members of the workforce who are involved in decision-making.